Composer Tashi Wada has performed for years with his father Yoshi Wada—artist, composer, and early member of the Fluxus movement. However, they have rarely appeared together in studio settings. 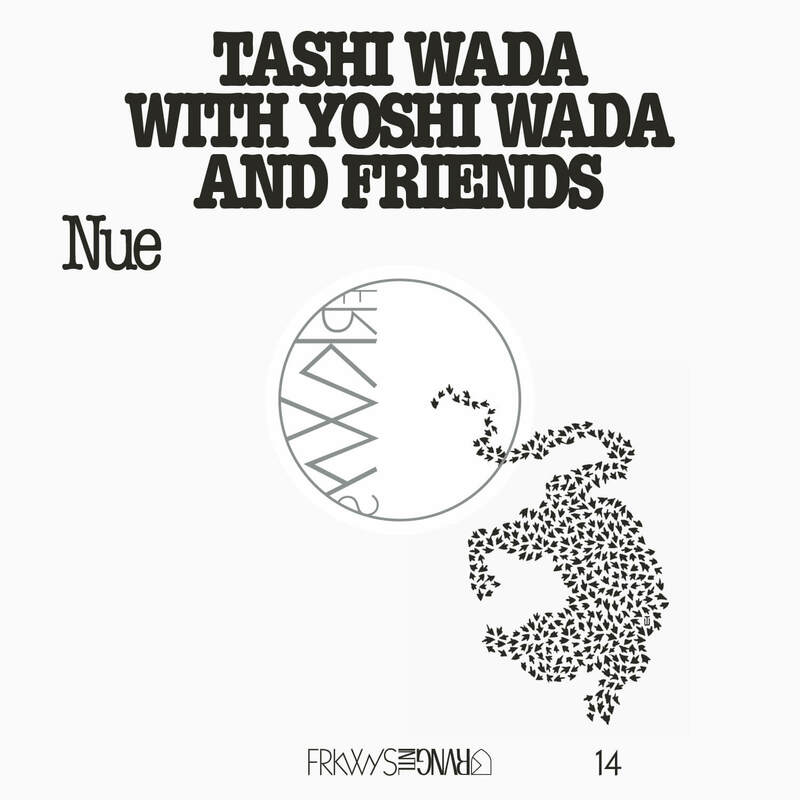 Nue, the fourteenth entry in RVNG Intl.’s intergenerational FRKWYS series, finally brings Tashi and Yoshi, along with an eclectic group of close friends and extended family, together on tape. My name is Tashi Wada. I’m a composer and performer, and I live in Los Angeles. I was born in New York City, and raised between there, Upstate New York, and San Francisco. Can you tell us about the writing/recording process on your upcoming album Nue? Yes, I wanted to make an album like Nue for a while, and then last year everything—working with the label RVNG Intl, all the musicians—lined up and fell into place. Writing the music of Nue came quickly for me, though some of it had been developing over a longer period of time. Three of the tracks were co-written with my dad, Yoshi Wada. We’ve been playing together for about eight years. How did you gather your ensemble for this FRKWYS collaboration? The ensemble of Nue came together very naturally. 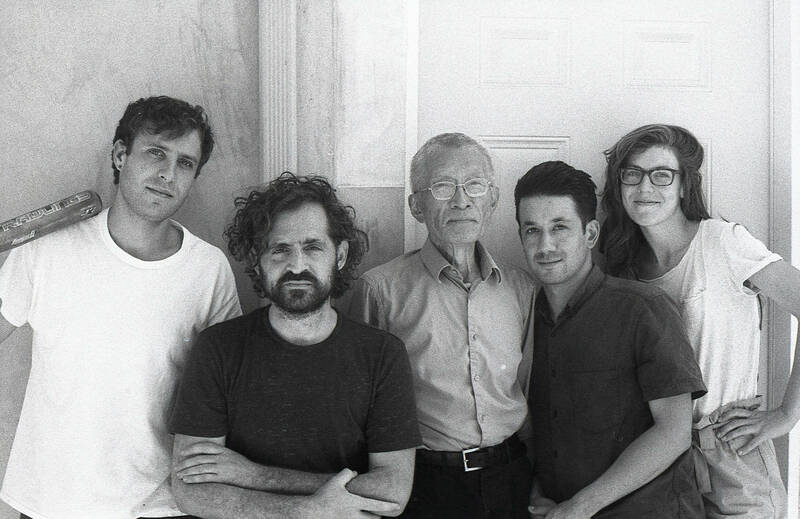 All the members are family or friends, and the parts were written with them in mind: my dad, my girlfriend Julia Holter, and friends Corey Fogel, Simone Forti, Laura Steenberge, Jessika Kenney, and Cole. Even the photos and artwork for the record were made by friends—Dicky Bahto and Marco del Rio, respectively. What is one of the bigger challenges you and/or other musicians are struggling with these days and how do you see it developing? That’s an interesting question. On a personal level, I would say putting your work and self out into the world, and the internet at this point, in an effective way while keeping your inner life intact takes time to negotiate, and what’s working now doesn’t always work later. We live and learn. How did your interest in music begin? Well, I was born to two artist parents, so there was a lot in the air. I saw my dad perform when I was a child and it felt surreal, this person I knew going into a trance-like state via sound in front of other people. I began playing music, piano specifically, at a fairly young age and it’s pretty much been a constant throughout my life. The point at which all of my musical interests—playing, listening, writing—really started to connect came later when I was in my late teens. How has living in Los Angeles affected your music? I originally moved to Los Angeles to attend CalArts, where I studied with the composer James Tenney, so that had a big impact on me in a variety of ways. Jim was a generous teacher and person in general and took whatever he was focused on very seriously. Beyond that, there’s a wide community of young and older musicians in Los Angeles, and it’s pretty diverse in terms of styles of music, so there’s a healthy amount of overlap between scenes. I like hearing music I don’t know, whether it ends up being my thing or not. What kinds of music/what musicians are influencing your work right now? Music by friends and family for sure. Julia’s music. We’ve been playing each other’s music for a while. Mica Levi’s music. I like how she works in all these different contexts. Generally, I find myself drawn to music and musicians that are difficult to pin down or categorize. Who would you ideally like to collaborate with in the future? Nue was really ideal in terms of collaboration with musicians. Maybe an orchestra? Or an instrument builder or designer. I work with a variety of different tuning systems, which poses interesting challenges as a keyboard player. Where do you plan to travel next? Later this week I will travel to Sweden with a collective called Dogstar for a series of performances at Gas Festival. What was the last show you went to that stuck out to you? Fushitsusha, Keiji Haino’s trio, comes to mind. They played for three hours, non-stop, at full intensity. It felt weirdly like an installation. What do you do when you’re not working on music? One thing I do, which is music-related though not music per se, is I work on the archive of James Tenney, whom I mentioned earlier. I’ve been doing that for several years now. I also run a small label called Saltern where I do very specific projects. Earlier this year, we released a collection of recordings by dancer and artist Simone Forti, who actually sings on Nue. We, Julia and I, have two dogs, so there are a lot of dog walks. Haruomi Hosono. I love how varied his music is. It sounds like all these worlds colliding. Can you share one of the best or worst reactions you have gotten as a result of your music? I recently played bagpipe at the memorial for a close friend who died, and someone said it was “like a knife cutting a knife.” I’m not sure that’s the best note to end on, but I’ll go with it.